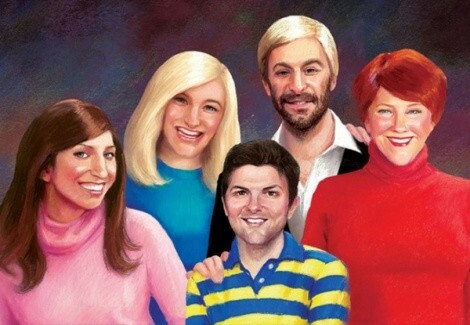 The Greatest Event in Television History 3 (Adult Swim) Adam Scott’s third and reportedly final painstaking re-creation of a classic TV series’ opening credits will be, going by the photo, Family Ties. ---Does it deserve to be featured alongside the likes of previous GEITH honorees Simon & Simon and Hart to Hart? Is Scott really retiring the franchise after tonight? Have I already asked far more questions than warranted for this silliness? Yes.